The second is arguably worse - your data usage is technically unlimited, but after the first 2GB (as opposed to the current 5GB) your data speeds will be throttled down until the next billing cycle. Ouch. And there's no way to increase your data cap, apparently (aside from switching to AT&T). 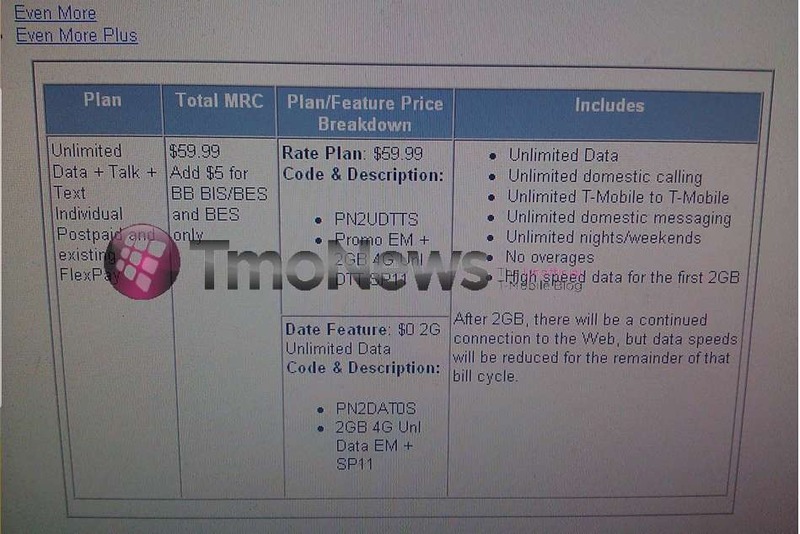 Additionally, T-Mobile will be launching new pricing for its on-contract Even More Unlimited plan, down to a Sprint-beating $79.99 a month. It's clear T-Mobile anticipated the AT&T deal giving it a stigma among new customers, warding off the unwary - but this kind of pricing may just prove too tempting to resist. How long this deal will last is unknown - but AT&T has got to be loving it. Why? T-Mobile's gains in the marketplace may end up being AT&T's, if all goes to plan. AT&T and Verizon Wireless have both long been harangued with complaints that their plans are inherently designed to be unfriendly to or take advantage of penny-pinching consumers, making it difficult for either to capture the emerging budget-smartphone market. Sprint and T-Mobile have generally become the antithesis to this perceived strategy, in the eyes of consumers at least, and many of their customers stay with them only because of their highly competitive pricing. After the AT&T deal, it would seem logical that many T-Mobile users might defect to Sprint, who remain free of the AT&Taint. But, if T-Mobile snaps up a bunch of new customers before the merger deal goes through, AT&T gets more subscribers as part of its deal, and will probably heavily incentivize former T-Mobilers into coming along for the ride.